HP has been hoping that sleek, powerful hardware will lure Apple Mac aficionados to switch to its PCs, and now is aiming the new Z2 Mini mini-desktop at Mac Mini users. The Z2 Mini packs the computing power of a full-size desktop into a box that can be held in one hand. Starting at $699, it will be available worldwide starting in December. HP has been excelling in PC design, with innovative desktops like Pavilion Wave, a cylindrical desktop, and Elite Slice, a modular mini-desktop onto which components can be snapped. The 2.4-kilogram Z2 Mini can cram an Intel server CPU and discrete Nvidia GPU -- both of which have their own cooling fans -- into a tiny space while delivering screaming performance. The Z2 Mini could be an alternative for those looking to replace the aging Mac Mini, which hasn't received a design or hardware upgrade for years now. 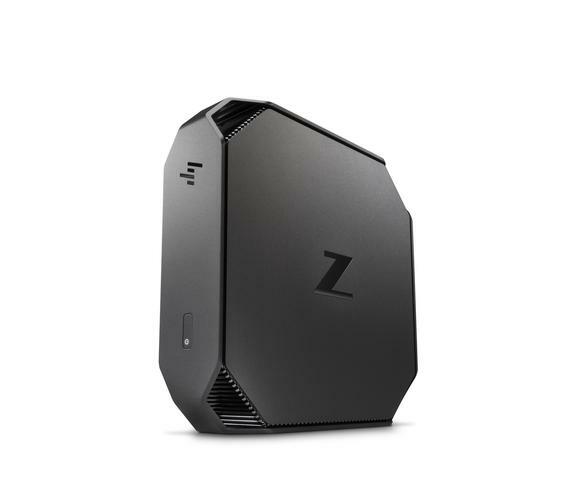 Apple has been abandoning the professional market and for engineers and designers, the Z2 Mini is superior to the Mac Mini, said Jeff Wood, vice president of HP's workstation business, during a briefing. The idea that Apple is stepping away from the professional market was highlighted during the recent release of the MacBook Pro, which has innovative features like the Touch Bar. But it attracted criticism for using old Intel Skylake chips, and was widely considered more of a consumer than a business PC. Apple also hasn't upgraded its Mac Pro desktop since 2013, and workstations with Windows are filling that void. The new Windows workstations have superior processors, GPUs, memory and SSD storage. The Z2 Mini is targeted at engineers and architects using applications like Autodesk or Solidworks. However, it isn't meant for use with VR headsets like Oculus Rift or HTC Vive, an HP spokesperson said. Nvidia's Quadro M620 GPU isn't designed for VR, and headsets typically need full-powered desktops like the Z840 with cutting-edge GPUs. The Z2 mini-desktop can be configured with Intel's Xeon E3-1200v5 CPU, or Core chips. It supports up to 32GB of memory and up to 1.5TB of storage. An entry-level model will have three DisplayPort ports, two USB 3.0 ports and an Ethernet port. A fully loaded model will have two additional USB Type-C ports. But some features are missing. It doesn't have an HDMI port to attach displays, or a Thunderbolt 3 slot to attach high-speed storage. Workstation users dealing with high-end graphics need more than 1.5TB of storage, and the USB 3.0 port, with its data transfer speed of 10Gbps (bits per second), may not be enough. Storage devices attached to a Thunderbolt 3 port -- which transfers data at 40Gbps -- can be used in real time, much like internal storage. The Z2 can be mounted behind a monitor so it remains hidden.